Each student is responsible for knowing Mason’s rules, regulations, requirements, administrative policies and academic policies. The University Catalog, your program advisors, and the staff in the Student and Academic Affairs Office are key resources to assist you as you work toward completion of your degree requirements. It is highly recommended that you meet with your advisor at least once per semester to review degree progress and plan for future semesters. It is your responsibility to know where you are in completing your requirements. Your advisor is a resource to assist you. If you choose not to meet with your advisor you may miss key information and opportunities to make your experience at Mason a more valuable one. Students are responsible for the content of university communication sent to their Mason e-mail account (@masonlive.gmu.edu) and are required to activate that account and check it regularly. If you wish to forward your @masonlive.gmu.edu e-mails to a personal account please do so as soon as possible once admitted to avoid missing key communications from various university offices. Friends and other CEHD students are great but they are not reliable sources of information for your individual degree requirements/progress. A reliable resource is a paid Mason employee and the subject matter expert on the question at hand (i.e. Licensure, Endorsements, Advising, Career Services, Admissions, Registrar, ITU Support, etc.). When in doubt, ask your advisor! 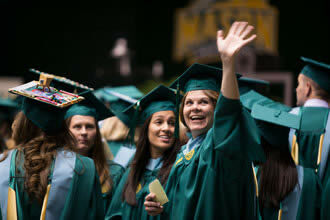 Contact the Counseling and Development program at counsel@gmu.edu. Faculty and staff will answer any questions that you may have about your program or degree. The American Counseling Association code of ethics requires counselors and counselor trainees to maintain standards of professional competence and possess good moral character. Therefore, the Counseling and Development Program requires these Professional Dispositions. All students taking Counseling & Development courses are expected to use APA style described in detail in the Publications Manual of the American Psychological Association, (6th Ed., 2010) for all written work. Students are expected to purchase this book. Two or more unexcused absences may result in no credit for the courses that are 3 credits or more. For 2 credit courses, one or more unexcused absences may result in no credit for the course. For 1 credit courses, no unexcused absences are permitted. Submit a statement describing (a) reasons for seeking readmission, and (b) current professional goals and activities. Submit a minimum of three letters from professional references who can address your readmission to the Counseling and Development program. Complete a Graduate Re-enrollment Form. Observe the regular GSE admission deadlines. Students requesting readmission may then be invited to an admission interview. Readmission is granted only upon Counseling and Development full-time faculty's evaluation of the applicant's qualifications, interview, and past program participation. The non-degree extended study option is available for individuals who have missed the deadline for submitting a complete graduate application and desire to begin taking courses, or are interested in learning more about the field of counseling. Courses that may be taken as a non-degree student are EDCD 602: Foundations of Counseling and EDCD 525: Advanced Human Growth and Development. After admission into the program, both courses may be transferred into the master's program. Two DVDs were produced by Alexander Street Press in 2012 on the C&D program’s unique training (Training Social Justice Counselors: Walking the Talk) and the C&D faculty’s innovative outreach program, Counselors Without Borders (Counselors Without Borders: Making Change for a Better World). Drs. Rita Chi-Ying Chung and Fred Bemak were included as 2 of 5 people in the American Counseling Association Introductory Film, entitled Giving Back to the Community, for the American Counseling Association’s Annual Conference in 2011. O'Hana Award for Social Justice Work 2004, Counselors for Social Justice (CSJ), a Division of the American Counseling Association. 2015 American Counseling Association (ACA) Fellow. 2014 American Psychological Association (APA) Fellow, Division 45 (Society for the Psychological Study of Culture, Ethnicity and Race). 2014 Social Psychology Network Action Teaching Award, Honorable Mention. 2013 American Psychological Association (APA) Fellow, Division 52 (International Psychology). O'hana Honors Award for Social Justice Work 2004, Counselors for Social Justice (CSJ), a Division of the American Counseling Association. Human Rights and Social Justice Committee Member, Virginia School Counselor Association 2010 – 2013. Above and Beyond Award, Prince William County, VA, Student Services, 2012. Coordinator, American School Counselor Association Recognized ASCA Model School Counseling Program (Re-RAMP) application, Bull Run Middle School, Prince William County, VA., 2011. Coordinator, American School Counselor Association Recognized ASCA Model School Counseling Program (RAMP) application, Bull Run Middle School, Prince William County, VA., 2008. Middle School Counselor of the Year, Virginia School Counselor Association, 2002. The Counseling and Development faculty are proud to announce that Mirella Saldaña has been selected as Virginia School Counselor Association’s (VSCA) Graduate Student of Year! Mirella demonstrates excellence in scholarship as well as a commitment to our program mission of social justice, advocacy, multiculturalism, and leadership. She works as a program coordinator in the Early Identification program, helping first generation college students to find academic success at Mason. Mirella is a passionate advocate for recent immigrant students and volunteers her time working with the Mason DREAMers program to promote a more inclusive educational climate for undocumented students. She also has facilitated focus groups with undocumented students in Fairfax County in an effort to identify their mental health needs. Mirella will be honored at the upcoming VSCA conference October 11-13 in Hampton, Virginia. Please join us in wishing her congratulations!